Chamba is a beautiful place where you will find different people camping around the world. You will get amazing hospitality, courteous service, superb food, blazing bonfire and wine at minute’s request by the camp organizers. You can get customized lunch at 16000 feet. 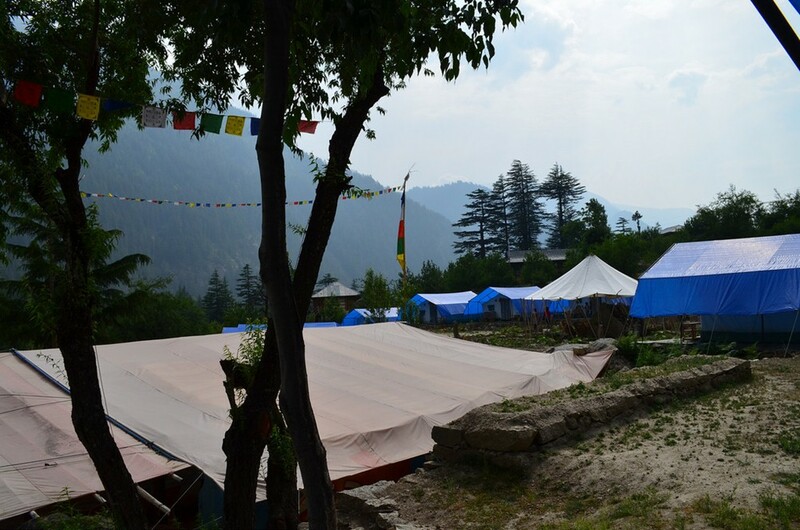 The experience of camping is very different in Chamba. 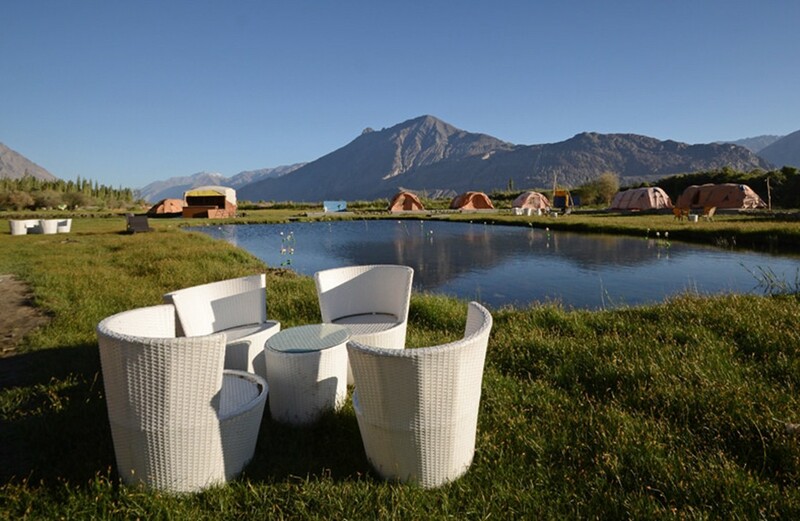 You will get around 12 relaxed and airy tents at Nubra Valley, Chamba. Camp presents well-equipped tents with cold and hot running water. 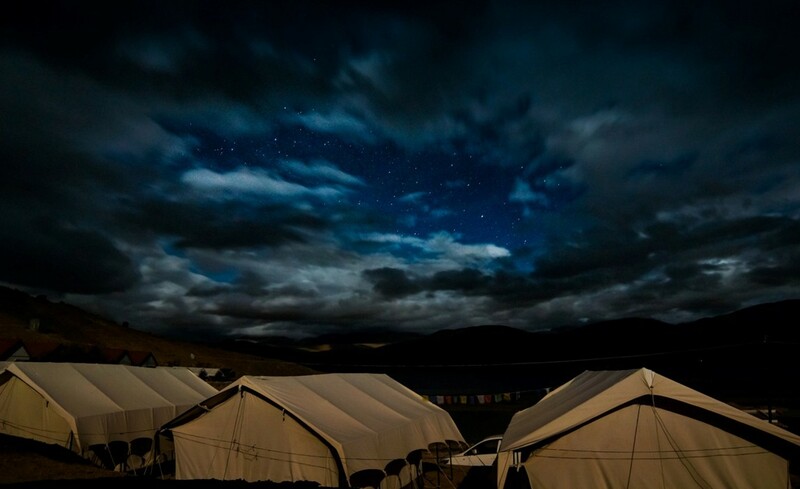 At these camps you will be served Chinese, Local Ladakhi, Tibetan and continental food. Well-maintained, clean tent accommodation with build-up bathroom will provide you great surroundings just next to monastery. This is one of the best campsites in India. 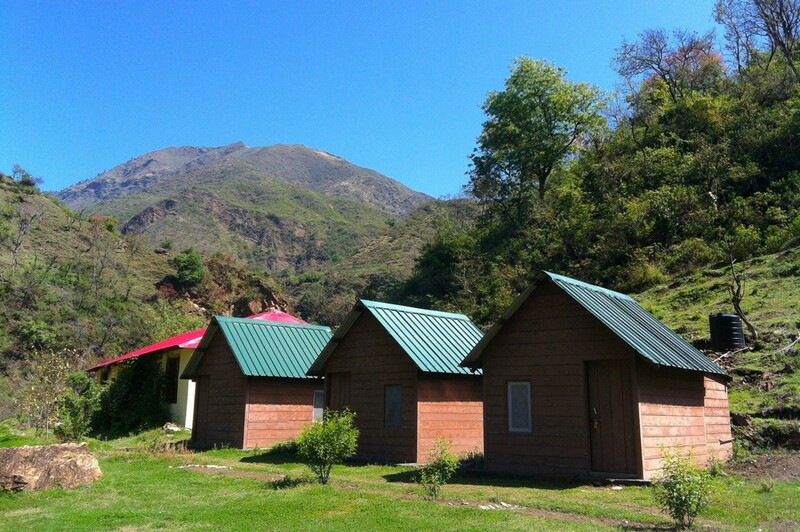 Chamba camp is located in the striking beauty of royal garden and in the mid of apple and apricot trees. This camp is huge extravagant for atmosphere lovers. You will find glacier watercourse, which flows in to the Shoyak River all through the camping sites in Chamba. People wake-up every morning in the sweet sound of birds chirping. 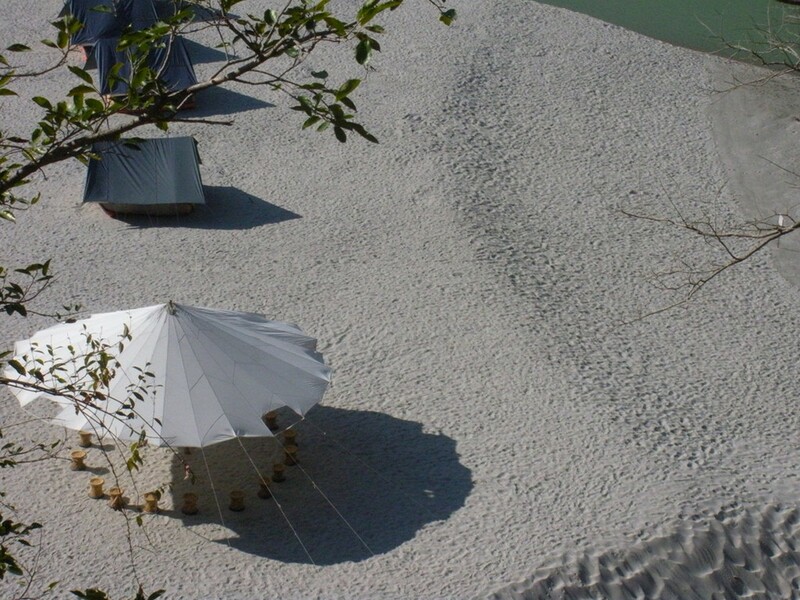 White Sand with music of river and a beautiful campsite with all amenities! 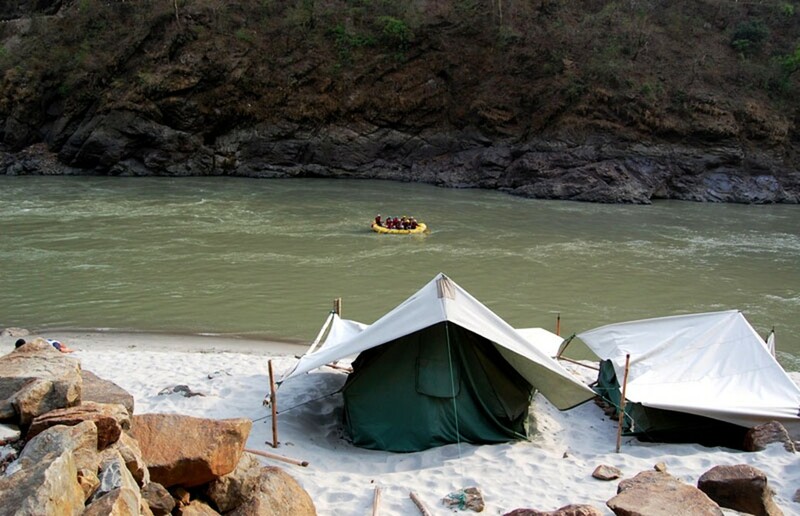 Rishikesh camping can be done on the foothills of soothing Himalayas that attracts rafting aspirants around the world, who hit rapids on camp and Ganga in the river side. Lately though, there’re scores of tourists who come and join these camps merely for gaining river side living experience. There are plethoras of campaigns you will see each year in summers and cater various budgets of people. This is considered as one of the best adventurous camping sites in India. 3. Sarchu – Best Camp Ever! Sarchu Camps! These camps will bewilder you! Camping in Jim Corbett National Park is a unique experience among this list of camping destinations in India. Just imagine waking-up to the soothing sounds of chirping birds through your window, dozing-off at night with owls cooing. There are several resorts and hotels in Jim Corbett National Park, which provides tented accommodation and gives tourists a more real experience of surviving in wildlife. 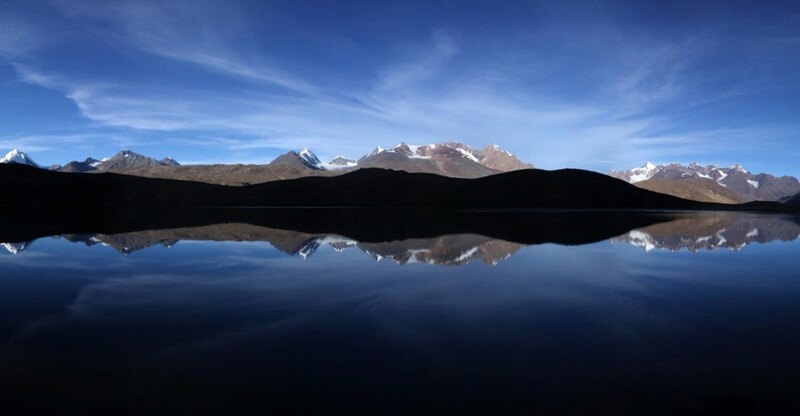 Enormous Lake view from camp of Chandra Taal! 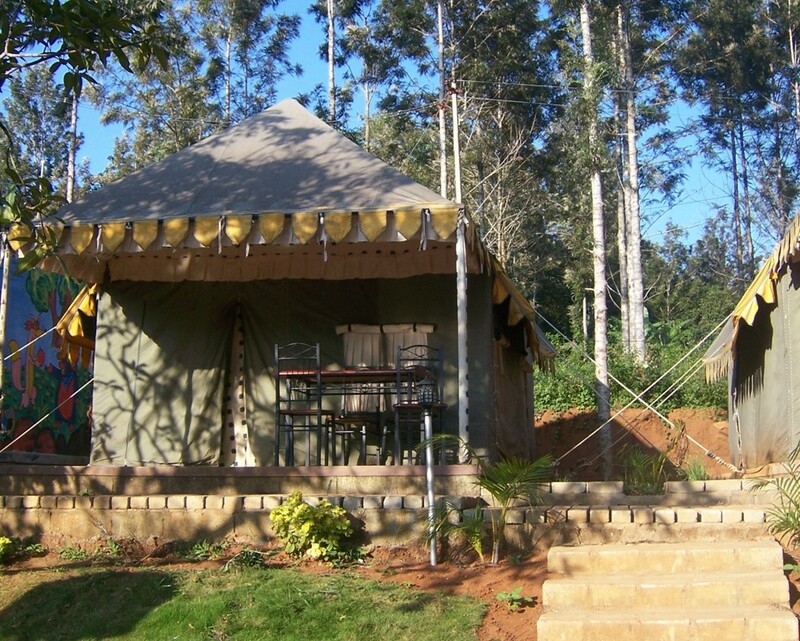 This is one of the highest camping site among this list of camping destinations in India. Taal is situated an elevation of 4,300m in Spiti Valley and Lauhal, Chadra taal lake has received its name because of its hemispherical shape. Though, pitching tents are found on the bank of the taal lake isn’t allowed now, yet people go there and make couple of camps nearby and not exactly on the banks of Chandra taal lake. The elevation sickness is the main reason that needs to be considered when you plan a campsite here as people who have heart problems and asthma are not allowed here. The best time to visit this place for camping is summer. 6. 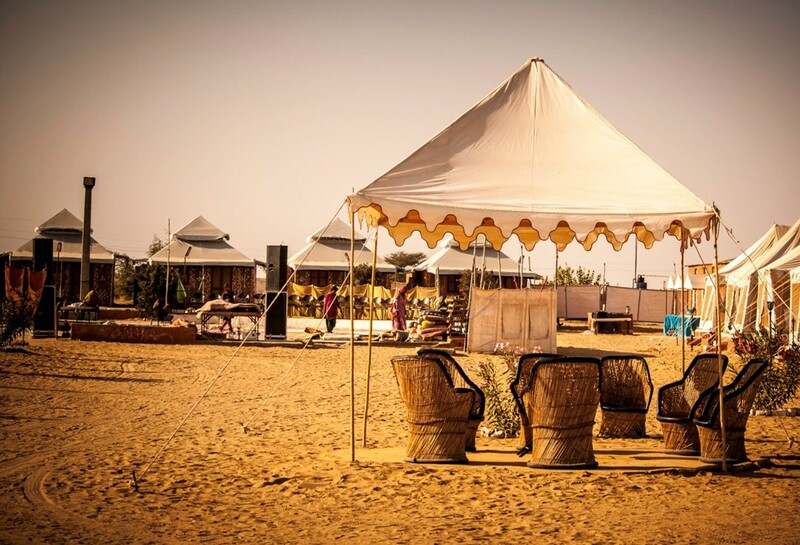 Jaisalmer campsites – Just Wow! Nothing Better than Enjoying Folk and Traditional Dance outside your Camp! Greenery with drizzling water and awesome sports! 8. 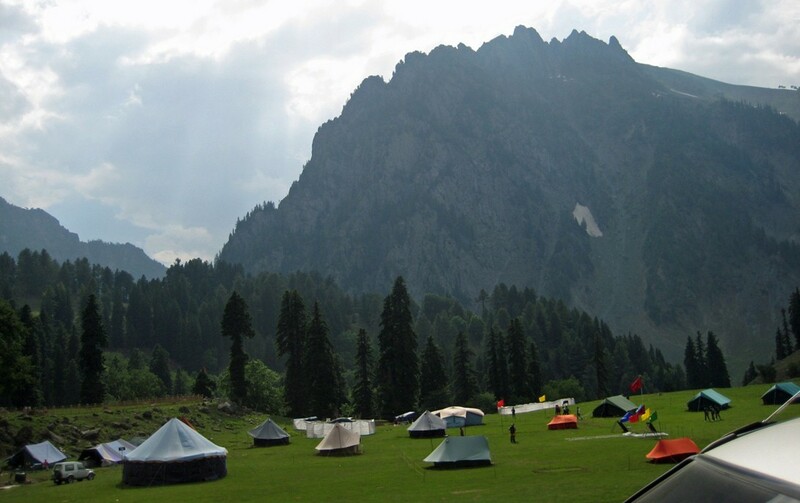 Sonmarg camping – explore your adventurous side! Kashmir is amazingly beautiful place around the world. It’s one of the most favourite tourist hot spot and place where it is possible to locate snow all through the year. 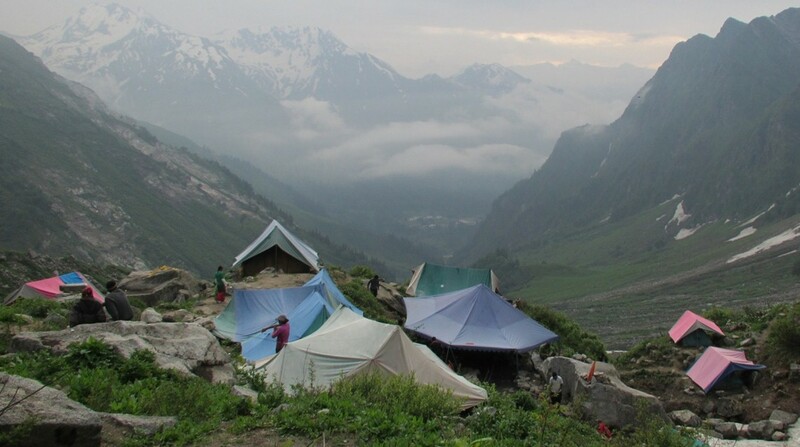 Sonmarg provides some fantastic camping sites of India for locales nearby to Thajiwas Glacier. It is a 2 hour drive from Srinagar airport. This camping destination in India is the beginning spot for the popular Alpine Lake trek that winds past Krishansar Lake, Vishansar Lake, Gadsar Lake and Gangabal Lake. 9. 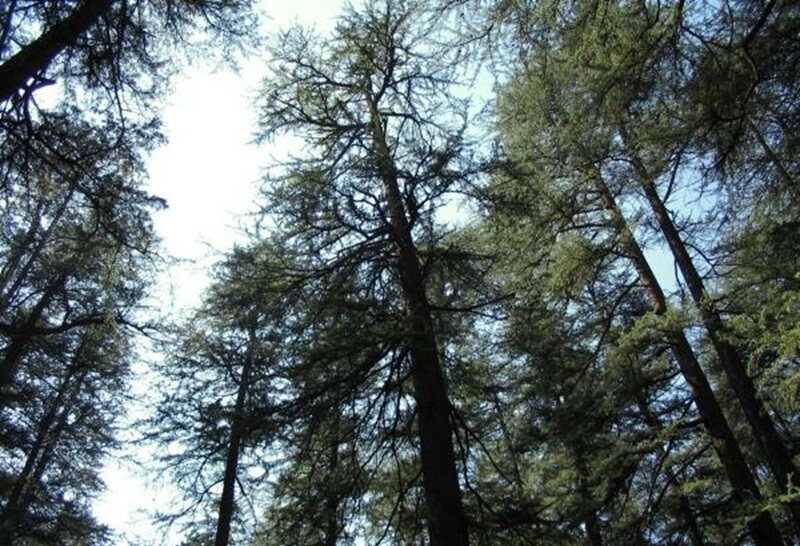 Kasol Camping – just wonderful! 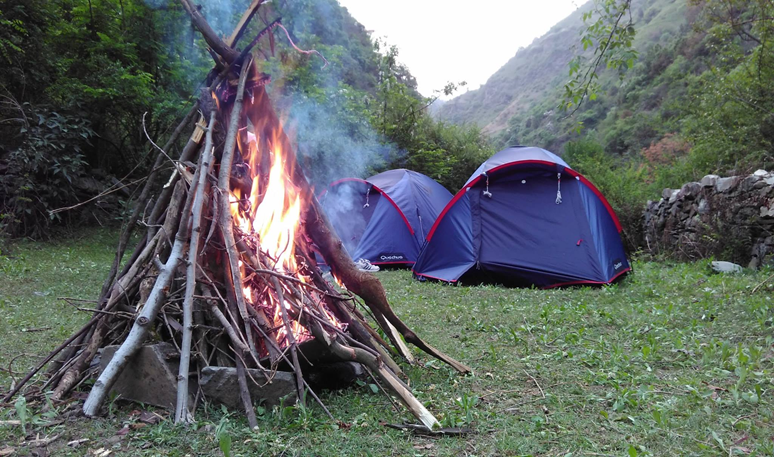 This campsite among this list of camping destinations in India, is perched at an elevation of 1460m in Kasol, which is a hill-station in Kullu district of Parvati Valley. 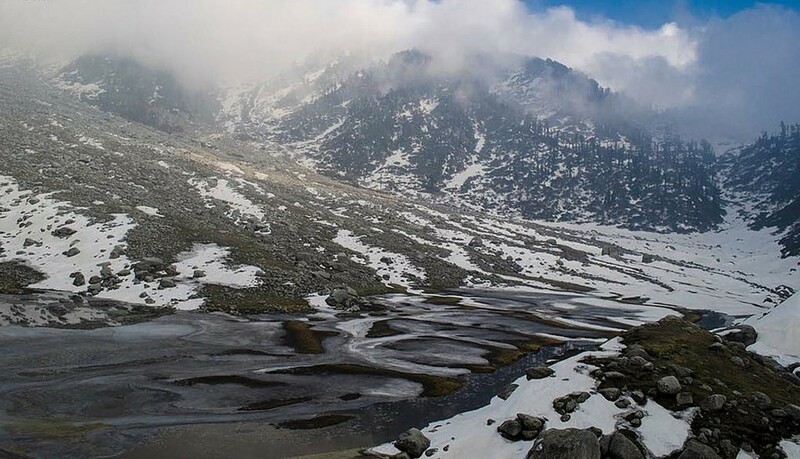 There are several small camps situated on the Parvati River banks that are quite popular among trekkers heading-up to the Pin Parvati way, Kheer Ganga, Yanker Pass and Sar Pass. 10. Ladakh – Get out of the world experience in Ladakh Camping! Nothing more beautiful than inner peace! Enjoy the Camping in the Valley of Ladakh! The most popular campsites among all camping destinations in India, Ladakh land, is considered as high passes land and it’s a home to various endless campsites scattered across the breadth and length of this dry cold desert. 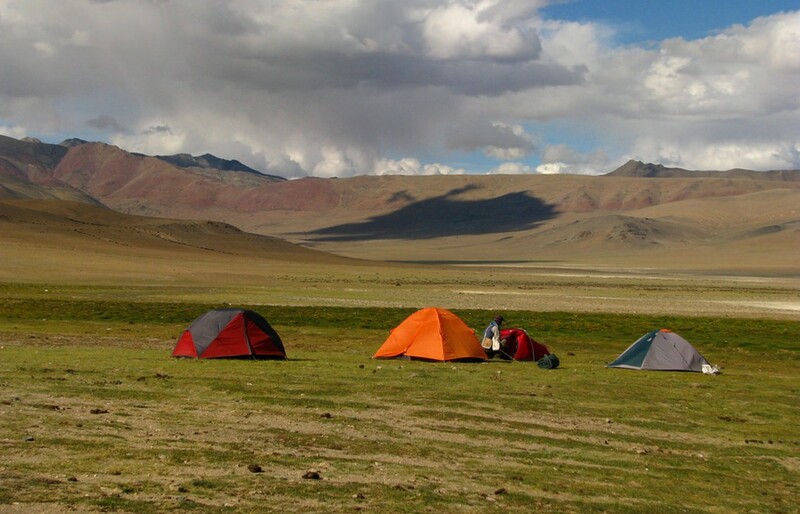 Some perfect locations popular for camping are Tsomoriri, Pangong Lakes and Nubrah Valley. 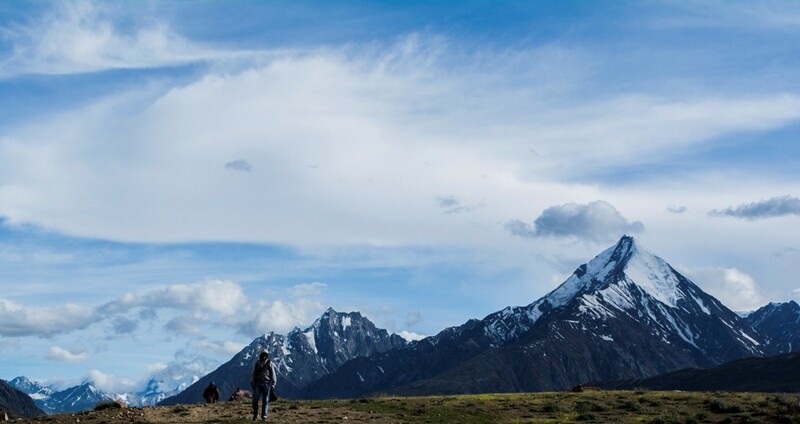 If you are searching for something more exciting and length then consider Markha valley trekking during which you will be pitching own tent each night beneath the starry sky. Best month to visit this place is August. You need to explore the picturesque of unexplored land of Nagaland as well as enjoy the incidents of residing in camps via choosing meticulously planned itinerary of luxurious Kohima camps, Nagaland, span in the duration of usually 6 days. 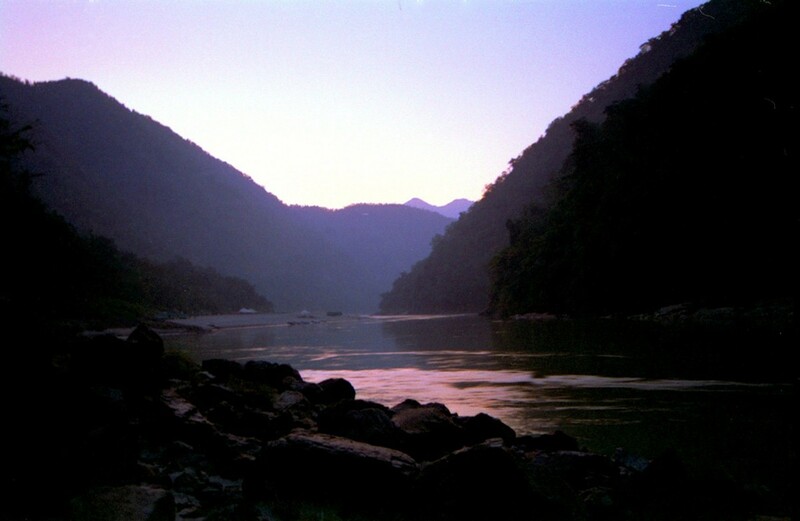 It’s known as Land of Nagas and last head hunter, is popular for its numerous exotic cultural experience. During campaign you will have a comfy stay in exclusively designed tents with linked bathroom, butler and various other services. Don’t miss the savoring tribal dishes, local rice beers and take part in several festivities. Have tremendous fun at Sunderbans Jungles! 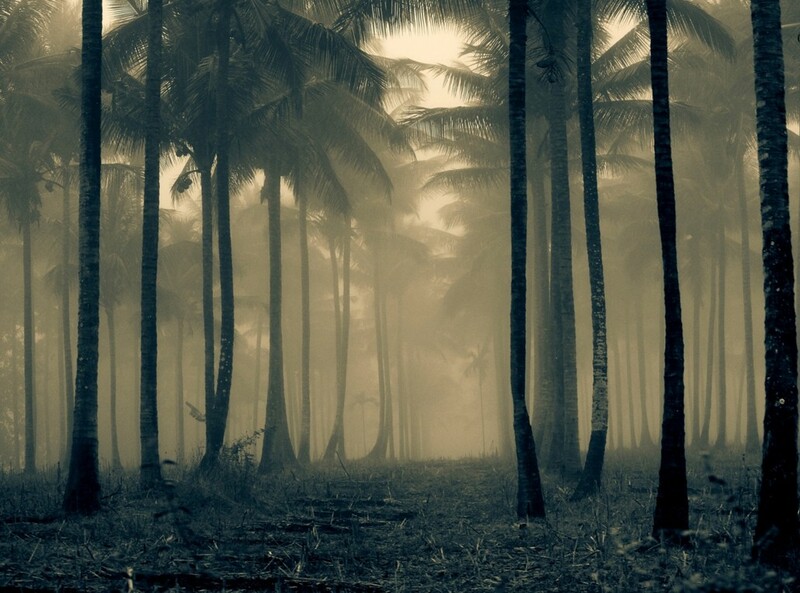 One of the most dangerous Jungles! 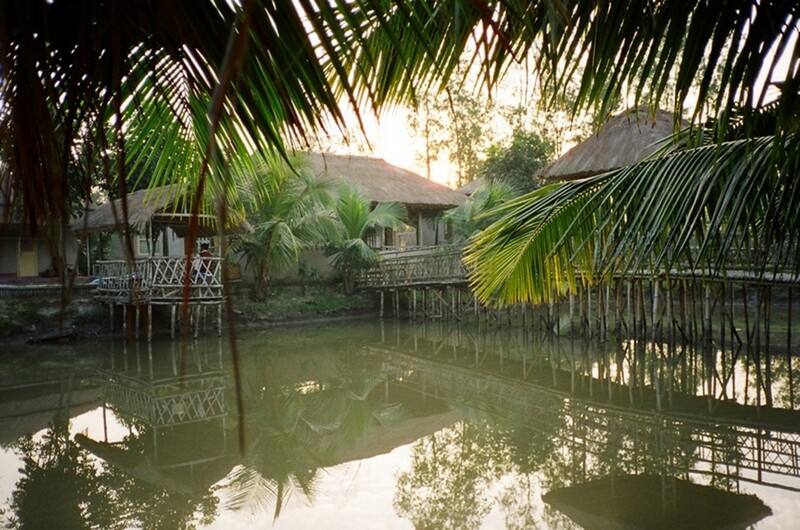 This camp takes places in the sunderbans jungle of Kolkata. If you’re among those people who love camping in the midst of jungle that stretches up to 7 days, then you will surely enjoy this popular tourists place in Kolkata. 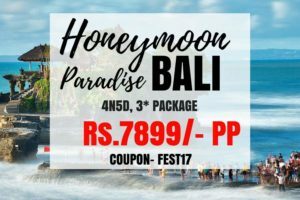 You can do several activities like bird watching, overnight camping, crab catching, fishing, musical dance performances, theatre performances, canopy walk, boat and jetty ride etc. 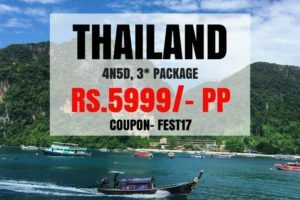 This is one of the best camping sites in India that you will have tremendous fun and cannot forget throughout your life. You can go for carb catching and fishing at Netidhopani watch-tower. More than 6 hours run from Shimla, this gorgeous and the most beautiful Sangla Valley is considered as the last greenery frontier prior you drive in to the barren mountainous region of Spiti and Lahaul, where one can camp. 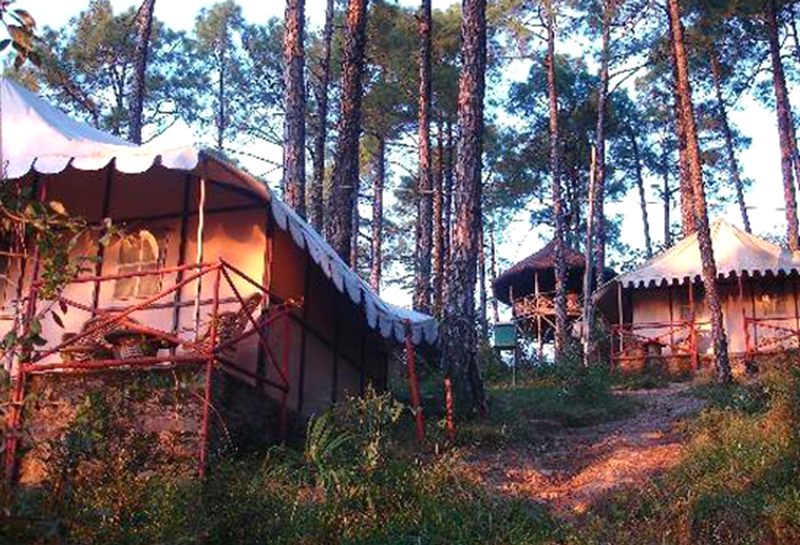 The camping setup on the Himalayan ranges, with lush cedar and pine forests, is surely worth a relaxed long break. 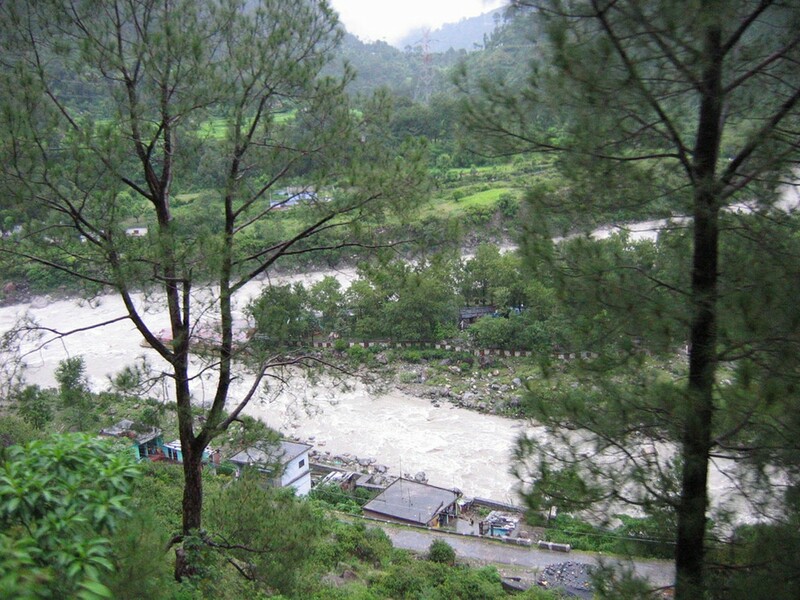 Sangla is considered as one of the best camping destinations in India. You will find luxury tent in Swiss style that provides comfort like wardrobe, double bed, attached bathroom, hot water and other amenities. The onsite multi-cuisine eatery takes care of your stomach. You can go for various activities such as rock climbing, trekking, river crossing and rappelling. The amazing views around the mountains and soothing river sound are another treat to your ears. 14. Shergarh, Balaghat camping Madhya Pradesh! The camp here at Kanha Tiger Reserve around three km away from the Mukki gate, this camp is convenient stuffing for your tiger spotting trip. This is the one of the adventurous camping destinations in India. The 6 rustic, comfort tents and homely tents, where facilities include separate toilets, double beds, shower units, attached bathroom, private decks, desert coolers and heaters along with electricity. Outside, there is free Wi-Fi as well. Between the jeep safaris, signup for cycling, bird watching and village walks. 15. Big Red Tents – Kolad in Maharashtra! Enjoy Romantic sunset at Kolad Camp! This campsite isn’t far from Pune and Mumbai. A perfect destination for an offbeat weekend getaway around Pune and Mumbai, without any mobile network. 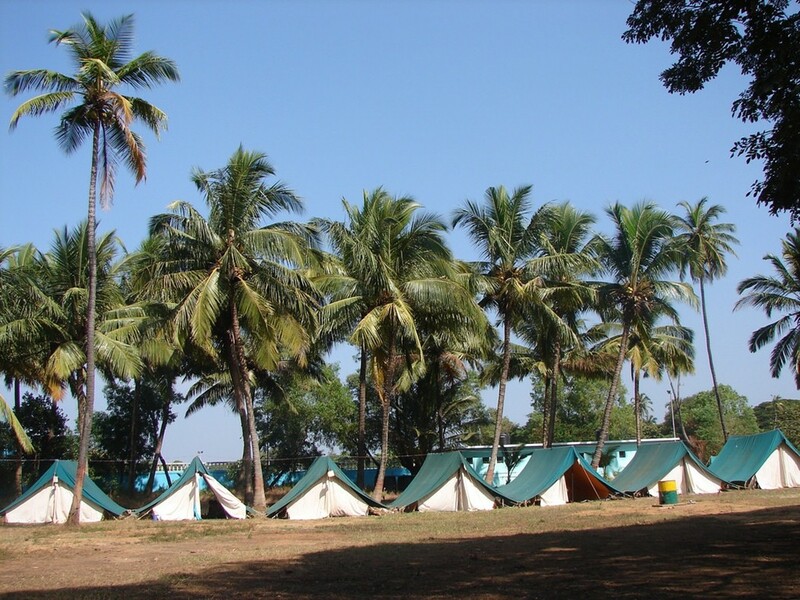 The camp is quite affordable for couples who came here to get relax from the Mumbai crowd. It’s sufficiently outdoorsy, when providing few usual comforts like sleeping bags, foam mattresses, inflatable pillows, showers and washrooms. Many campers spend evenings here around barbecue, troop to Kundalika River. 16. Taj Banjaar champing Tola, Balaghat in Madhya Pradesh! Enjoy Luxurious camp, Near Banjaar River! 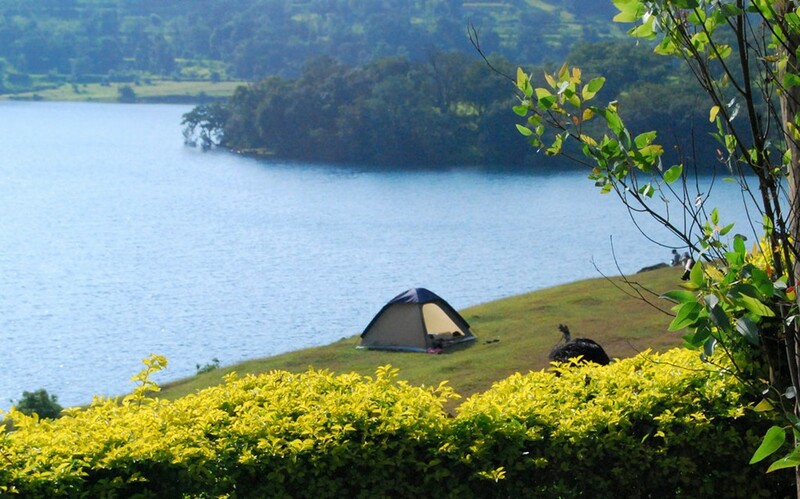 The most luxurious campsite among this list of camping destinations in India. You will find some amazing safari lodge simply outside the National Park, near Banjaar River. Only 9 suites are available between 2 campsites and it’s the perfect destination for a romantic weekend getaway. The tented suite is available with maximum comfort you would expect in a luxury campsite including showers, floating verandahs and baths. If you are searching to massage away that tiredness brought on via a 4×4 or elephant ride in the forests, and then go for a luxury spa treatments in your tent or private deck and near the poolside. 17. The Oberoi Vanyavilas Camping – Ranthambhore – Rajasthan! If you want to experience the holiday safari with hotel style comfort, not various properties matchup to this one. You will find all 25 air conditioned tents that has four poster king bed, internet access, CD/DVD player, satellite television, telephone and personal refrigerated bar. Outside, there is fitness centre, multi-cuisine restaurant, heated pool, spa, meeting rooms, library bar and business center that provides a choices of cigars, wildlife books and spirits. There are many things to do apart from driving to the tiger reserves. You can enjoy camel rides, elephant rides, market visits and art walks. This is one of the best weekend getaways for people who are looking for a perfect weekend. 18. Sher Bagh camping in Ranthambhore, Rajasthan! Yet another romantic campsite in India. This isn’t far from Oberoi Campsite, this Sher Bagh site in Ranthambhore has 12 tents, is more an intimate affair. You will be given game drives but do take out time for camel safaris, bird watching and other sessions. 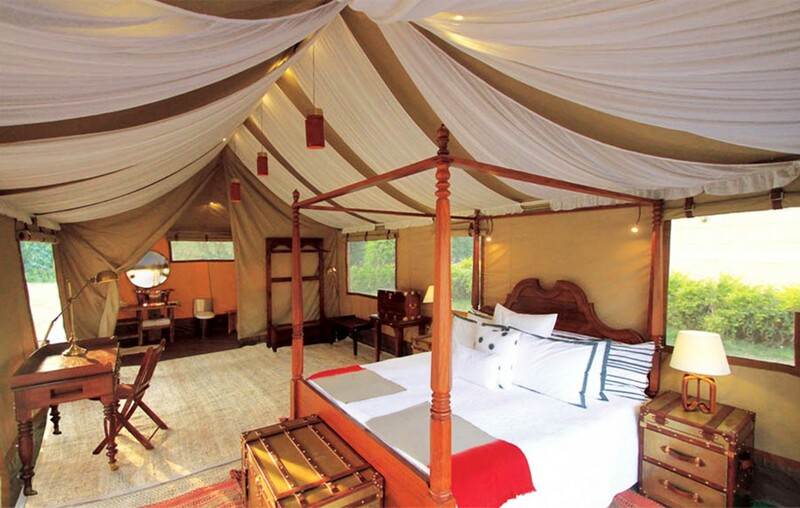 With hand stitched tents, vintage furniture and various amenities, the camp recreates the British Safari era of campaigns. The easiness has not been spared. 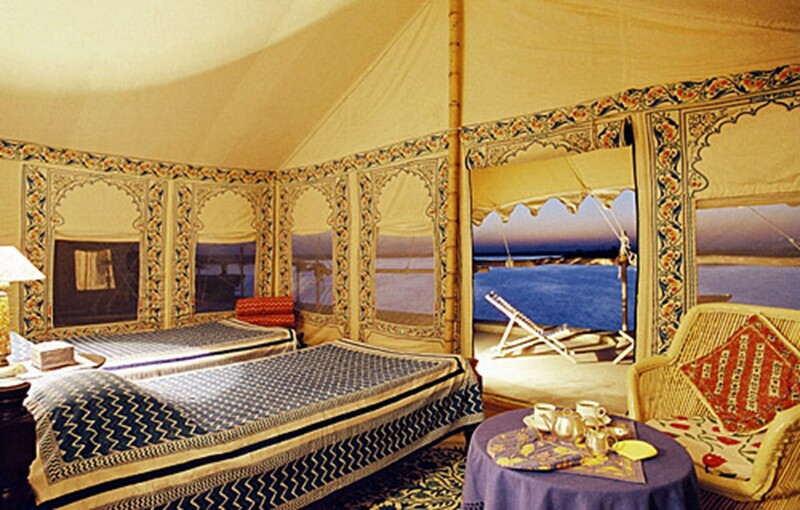 There are various amenities in each tent such as private verandah, air conditioner, bathroom and bed. You will also find private Jacuzzi in these tents along with spa, Wi-Fi, organic garden and swimming pool. 19. Tsermang Eco Campaign – Ladakh! You will find weather proof tents at Tsermang Eco campaign with twin bed, bath area, toilet and solar plug to connect the devices. You’ve stunning views to see of Indus that gives you company all the time. You will not find any TV here, yet your needs of entertainment are well served both outdoor and indoor. You will get meals whipped-up with organic ingredients straight sourced from the local farmers. Apart from world of adventure, which Ladakh provides, you can go and explore your inner side in the campaigns with backgammon game, played with the seashells, traditionally. And if it is plain indulgence you are after, go for a soothing Tibetan massage. This is the place where you will see leopards roaming freely, prowl in the villages as well as nap inside the temples. 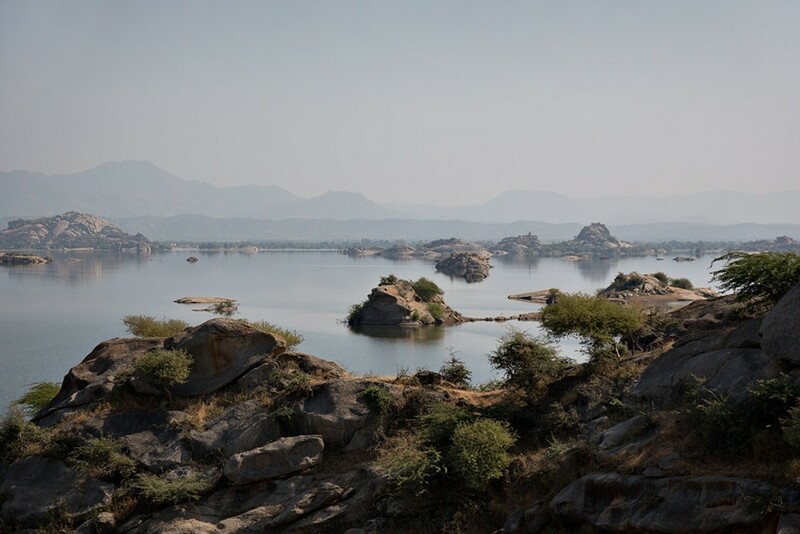 It’s this setting, which makes the stay real and raw at JAWAI Leopard camps. This camp is quite comfortable with ten modern style canvas tents and each one comes with personal decks that allow unhindered scenes of wilderness. General facilities are given like gym, swimming pool along with amazing organic garden. People can enjoy cycling, hiking, game drives or simply take a walk around the neighboring Rabari herdsmen to village. JAWAI is a birder’s enchantment. The reservoir close by brings in sarus cranes and flamingos in huge numbers. You can consider this as your most lovable and adventurous weekend gateways. 21. Goa camps – amazing experience! Yes even you can enjoy Camping at Goa! There are many places in India that will provide you pure relaxing ambience and fun. Goa is one such place. Travelling to Goa with friends is definitely the best and popular way for us to chill out. This place has some of the great beaches, culture, food and parties. Camping near to the beach side will provide you unforgettable experience, when you stare the sky with light music and crashing sound of waves. There are several places where you can go camping in Goa. Dubare Elephant camp at Coorg! Coorg is known as the Switzerland of India because of its similarity of weather, this place is quite silent with mountainous regions in Kerala, which is easily to go there from Mangalore or Bangalore. Its several trekking routes provide stunning views in Western Ghats. 23. Bhandardara Camp near Mumbai! In sync with yourself! Bhandardara Camp near Mumbai! This is a small unexplored hill station which is 4 hours drive from Mumbai and it’s one of the most beautiful camping destinations in India. At around 2,500 ft. above the sea level, air is fresh, the sky is clear and waterfalls, greenery along with wind makes this secret gem a wonderful place near Mumbai. 24. Nainital – A place for beautiful camp! This place is quite popular for weekend gateways and it’s the most beautiful hill station in India. It is situated at the Himalayas and known for its gorgeous weather, natural beauty and shimmering lake. This district lake is quite well-connected and easily available through road and train. You can travel to the shores and it’s simply breathtaking. You can easily find tents for camping over here at affordable prices. The adventurous side can be explored by doing rafting and paragliding sports and you can settle down here to enjoy the flora and fauna at night or day trek. Jaisalmer is a beautiful city and you can easily reach at this place through Jodhpur as it’s in the center of Rajasthan. You will be amazed to do campaign between the sand dunes that fill the heart with excitement and you will feel lost in the raw natural beauty. It offers you huge grounds as well to gaze in the open sky. This city is highly rich in persevered architecture and palaces. You should ride camel when you are camping at desert and walk barefoot via this other world landscape on night safari. Enjoy local dances and glorious sunrises. 26. 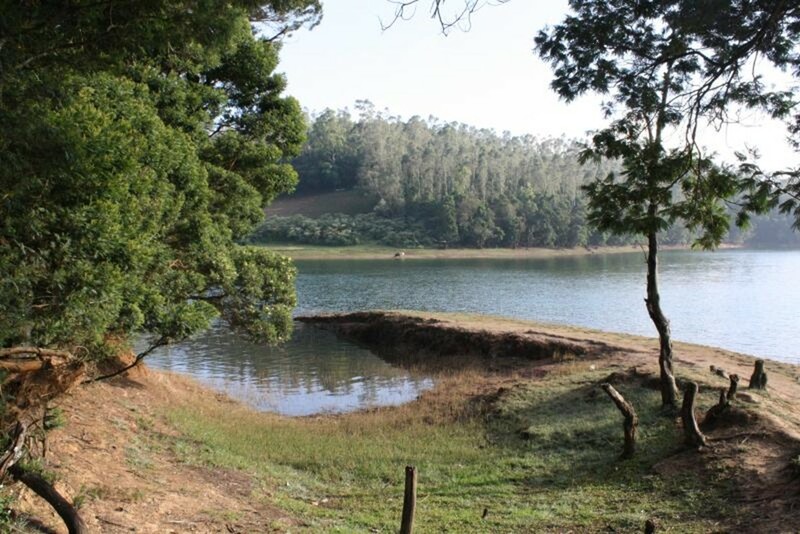 Go for camping in Munnar! This hill town in Kerala has out of the world picturesque and best visited in the months of September to March. The rolling slopes are carpeted by tea gardens, and it’s considered one of the best trekking and camping destinations in south India. You can consider this as the best weekend gateways. You will enjoy camping in Munnar and do various adventure sports at cliff hut as its one quite known campaign spots in Munnar. The boondocks of Periyar Tiger Reserve as well as the greenery of Wayanad district are just awesome. The Matheran camps are just beautiful and have beautiful weather because this place is vehicle free. The sylvan wilds are a house to many activities and sightseeing. You can soak in and go on different treks and take horseback rides as well as look at old colonial building. It is a beautiful place with stunning views of sprawling hills of Western Ghats that are laid-out as you’ve numerous viewing spots to visits. 28. Kolli Hill camping resort! Wild Orchid Camps In Kolli Hills! 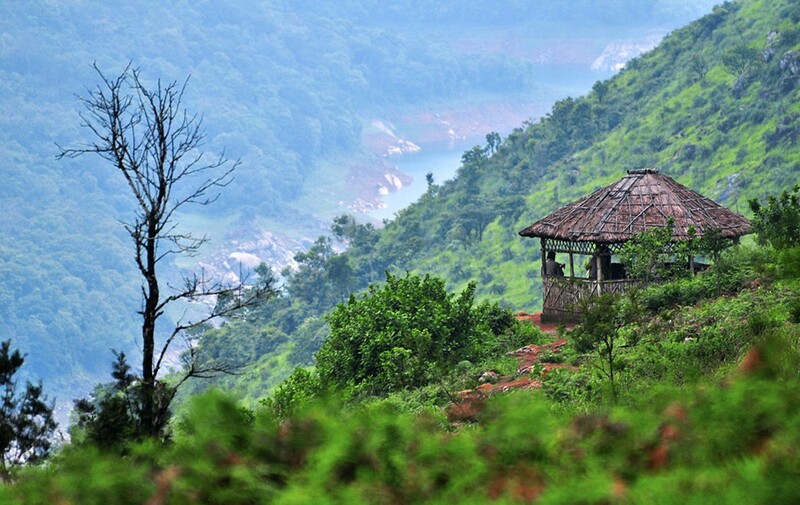 Kolli hills are located in the mid of the Tamil Nadu and the WOC or Wild Orchid Camps located at Kolli Resort, which is a great set to unwind yourself especially people who love nature. Campaigns are always exciting and people like to explore many things while campaign. 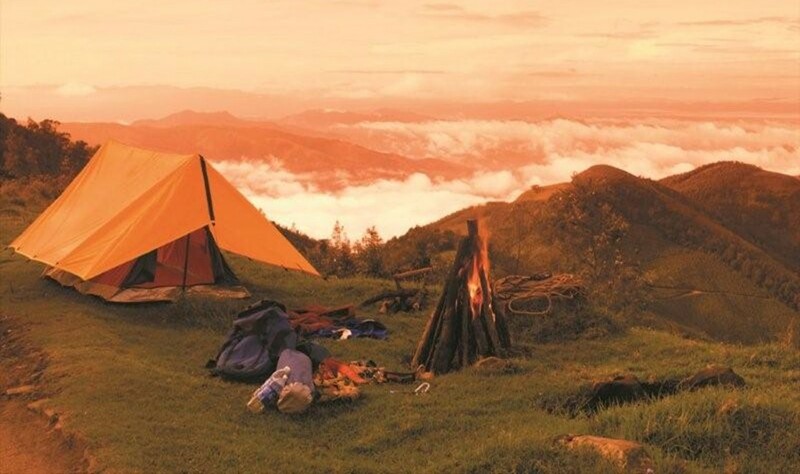 This is the best camping sites in India. The accommodation here is eco-friendly in Swiss tents that are surrounded by green forests. Spices, coffee and paddy are grown in the resort, which fills it with intriguing fragrances. It is simply 320 km away from Chennai. This is a good place for weekend gateways in summers. There are many attractions to discover nearby this place. 29. 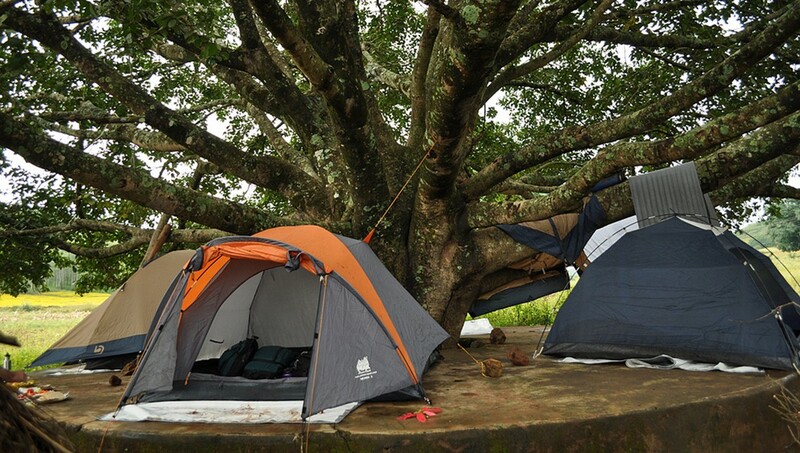 Jungle Park camping in Kerala! 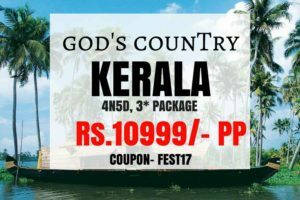 The camp inside the forest area as well as striking accommodation is accessible on villas and tree houses in Cardamom Hills of Kerala. You can go for hiking in the surroundings and forest hills as well as visit close by horticulture farmhouses. There is an indoor recreational room for raining seasons. 30. Banjara Camps in Spiti! 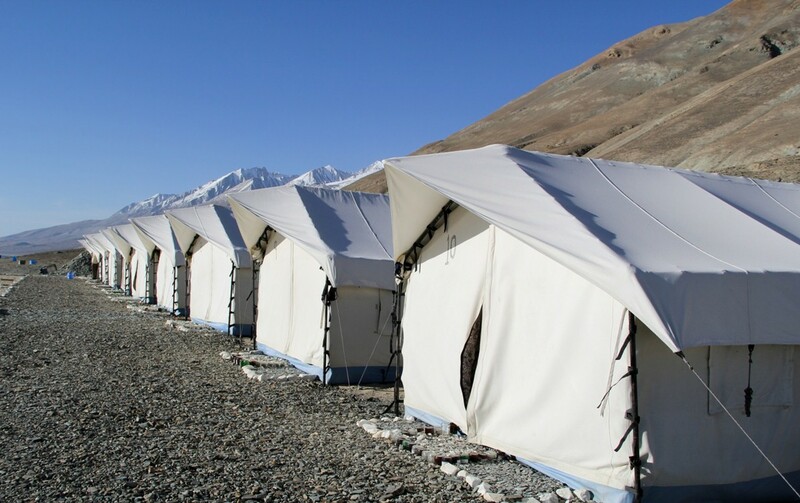 The Banjara camps are quite famous and situated in Spiti, Ladakh in the adventurous core of Kaza. This retreat provides good campaign amenities here as well as other places in Sangla, Sojha and Thanedar. 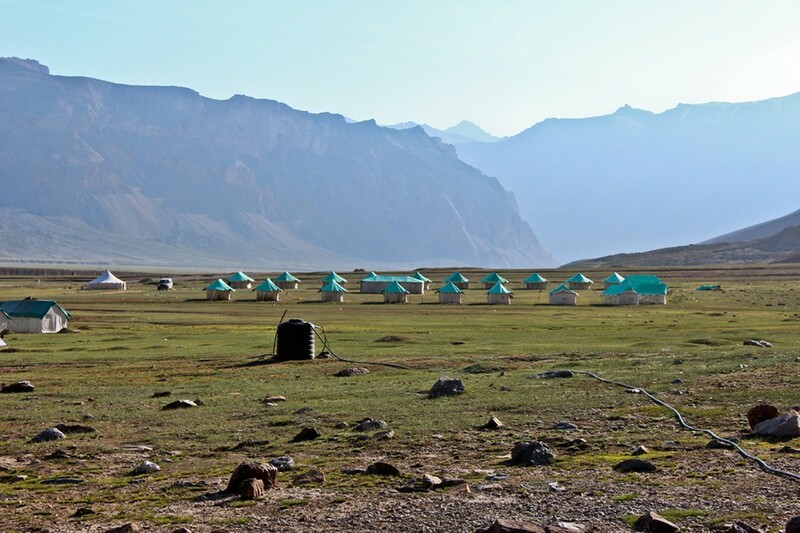 This camp is located at the height if 3600m that makes it one of the greatest treat for people who are searching to beat that scorching hear of plains. This will be quite adventurous too. Treks and hikes can be done along with local sightseeing. 31. Camp Exotica in Kullu! Campaign in Exotica will be your lifetime experience as it is situated in Kullu nearby Manali in HP (Himachal Pradesh). You can setup camps in the lodge when you visit Kullu. 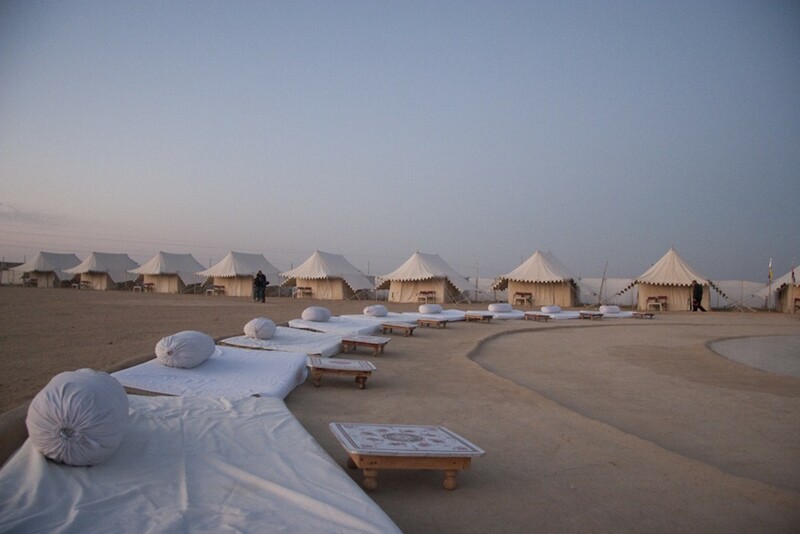 The accommodation is very easy in tents and you will be served by all facilities there. You can go for trekking and hiking in Kullu. 32. Mahsheer Fishing Campaign in Kumaon! Enjoy Fishing at Fishing Camp! You can go for adventurous fishing camps situated in JCNP or Jim Corbett National Park in the Kumaon region, Uttarakhand, which is 280km away from Delhi. It’s a great place to enjoy and explore small fishing tour with your family. Apart from angling, jungle safaris, hiking and other adventurous activities, you can enjoy the amazingly beautiful nature around the place. 33. Freeze your sanity at Tsomoriri camps! Camp under galaxy, Tsomoriri Camps! You can experience life in uninhabited and wild Tsomoriri camps. It has the world highest lake and completely frozen. Camping is a lifetime experience at this place as you will wake-up to the heavenly water sound in comfortable well-decorated tents. May-September is the best time to go for campaign at this place. Main attractions are sunsets at Lake, striking medical amenities for individuals suffering from high altitude sickness and much more. 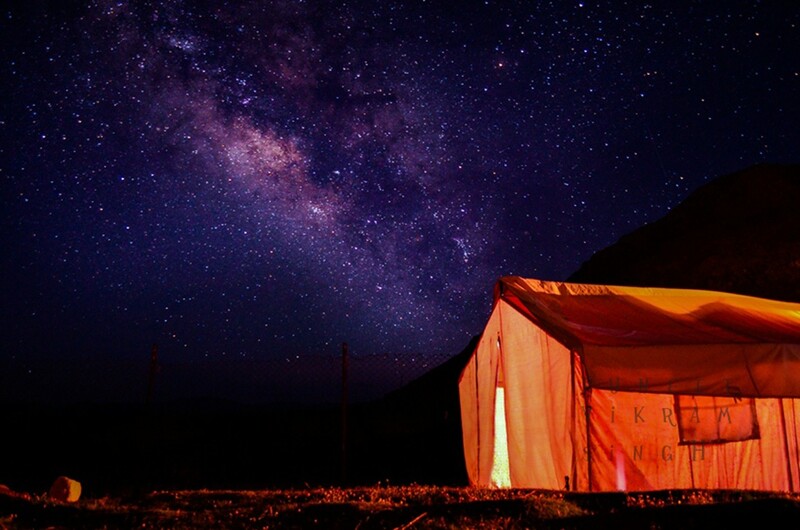 Nature at its best with sparkling Galaxy, Ladakh! 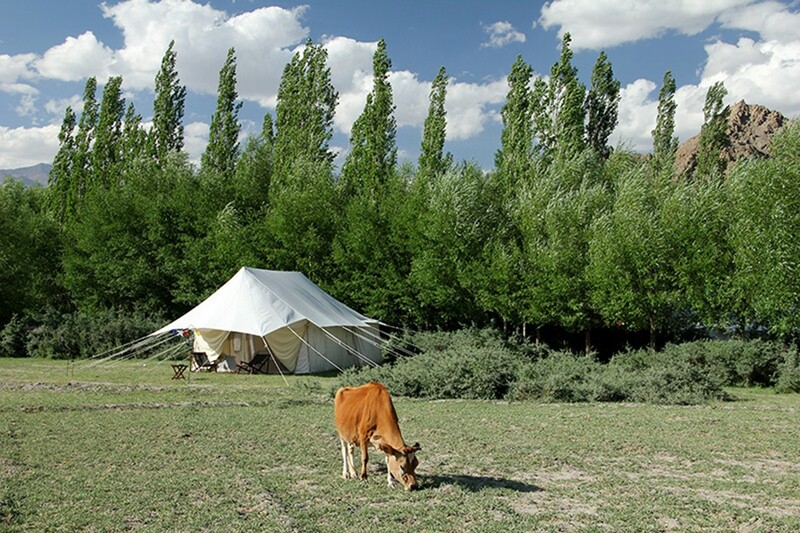 Sprawled around 20 acre farm, the West Ladakh Camps are usually tented on the banks of Indus River. You can go for trekking during this camp and visit monasteries nearby. Its location is just superb and every tent is covered by apricot, rocks, willow trees and migratory birds. You can have fun while enjoying authentic Ladakhi and Tibetan food. 35. Watermark campaign – do not miss the scenic view! This place is located at the Pangong Lake, one of the highest salt-water lakes in the whole world. Watermark camps overlook the huge Changchenmo range. When you live by this lake then you will see the change in color of the lake from blue-black and hues of some green is one of the spectacular feelings you will ever experience. One of the interesting facts about this lake is that its 150km long as well as more than two-third of this lake lies in the exterior of India. 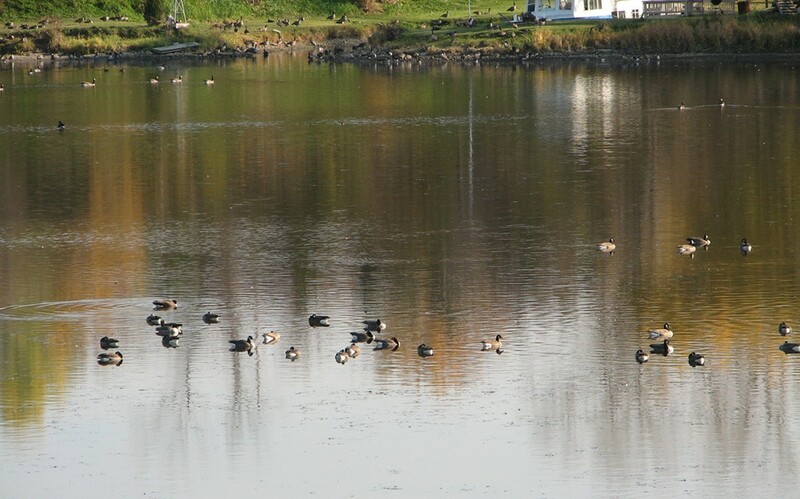 All facilities are available at this lake. 36. 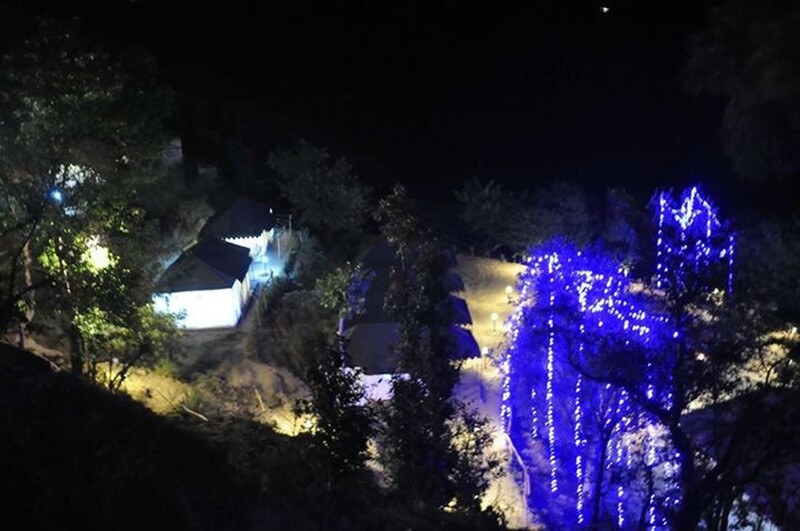 Kareri Lake camps at Dharamshala! This lake is in HP (Himachal Pradesh), is considered as a fresh and clean water Lake Approx 9 km away from Dharamshala. Kareri Lake camps are beautiful and arranged for people who live nearby. You will see varieties of thick conifers as well as various sorts of perennial flowers offer a soothing relaxation to eyes. 37. Camps potter hills-experience offbeat campaign! 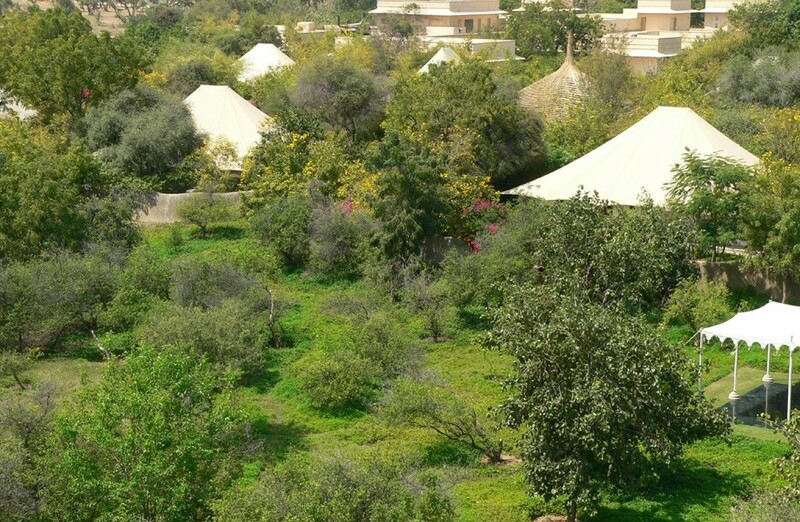 At this camp you can easily forget noises of the city and civilization and engross completely in the sound of nature. Its situated nearby Shimla, potter camp hills has a setup of entirely equipped cottages and tents, which makes staying quite comfortable. 38. Experience the height at Camps Mashobra Greens! 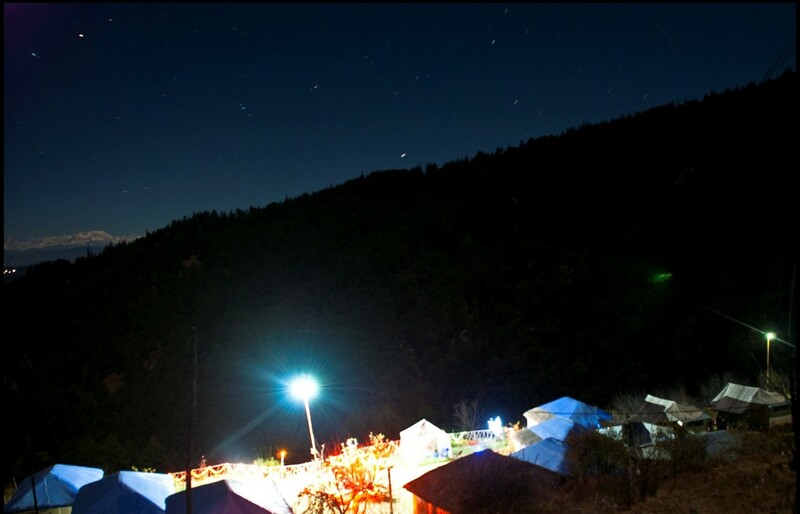 This camp is setup at the height of 7000 feet and isn’t very far away from Shimla as well as surrounded by various conical trees. The flora and fauna is the main attraction you can view from the camps. 39. A campaign burlesque at Oakwood Hamlet! This hamlet snuggles cozily up in the Oakwood forests and provides you striking images of the valley and mountains. Oakwook Hamlet is positioned high up around 5900 ft. The leisurely velocity of this area is invigorating and enchanting. This land is organic and cottages are made up if daub and wattle mud. You will have fun while campaigning here. 40. Riverine Woods-Enjoy the mystical ambience! This was previously known as the Van Ghat river lodge, was made in 2003. It’s made from local sourced material and offer huge employment for local people. This camp is at the bottom of Jim Corbett national park and welcoming various wild animals’ sounds. 41. Spiritual camp in Rishikesh Valley! You will find yourself in the spiritual valley Rishikesh and explore a lot about yourself. These camps are surrounded by dense forests and let you introspect and contemplate your own presence. You can go for detoxification procedures and eat some organic food. Apart from this you can go for trekking, river rafting and ayurvedic spas along with elephant rides. 42. Lose yourself in the nature’s lap at the 5 element camp! 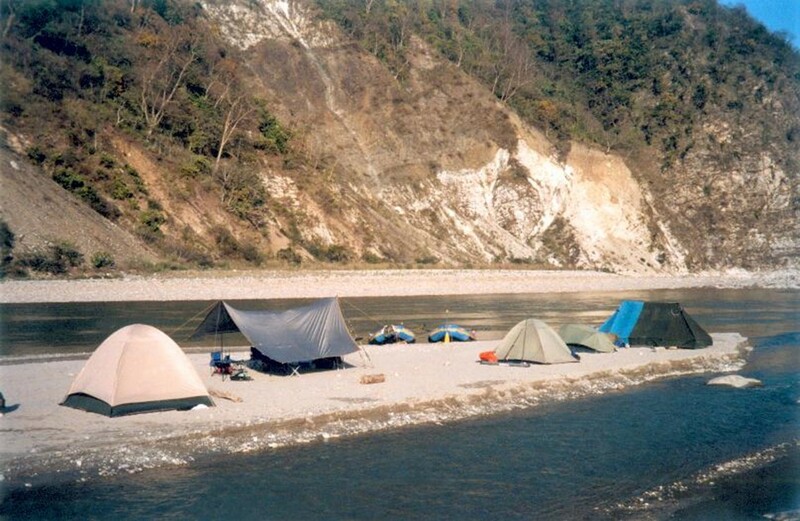 This camp is located on the Deoprayag way and is scattered around 800 m of silver sands river bank. 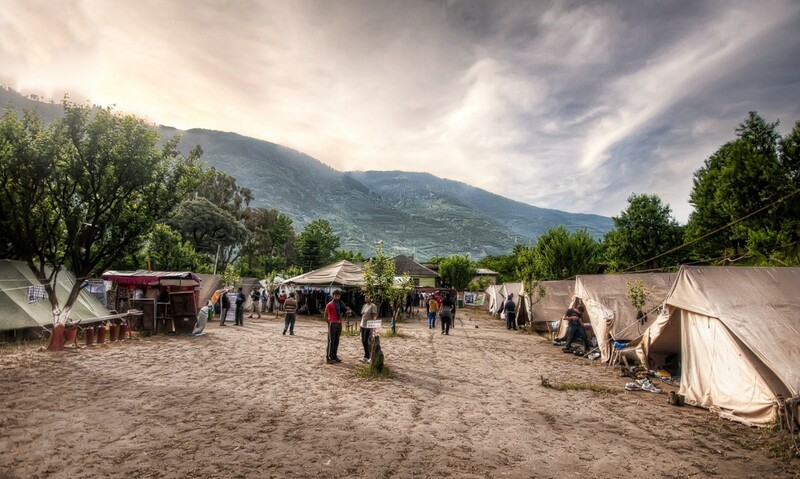 This camp is covered by three sides’ jungle and provides you scenic views. You can have fun while playing volleyball and walk around the campsite. 43. Chandram camp at Joshimath! This is the perfect place to go for campaign and trekking to the most divine place kedarnath. It’s positioned at the outer areas of Guptakashi as well as on the Kedarnath way. This campsite is just too good. 44. 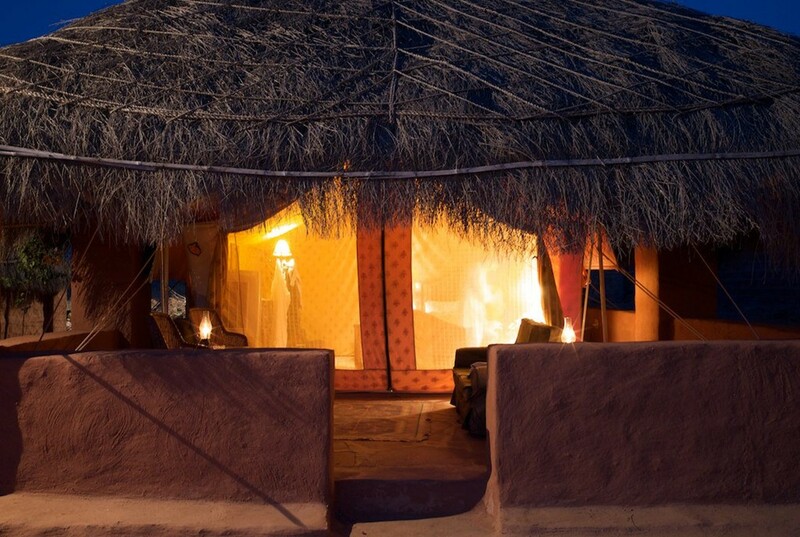 Withholding Rajasthani traditions since generations- Osian campaign resort! It’s the most admired trading center and a home to amazing temple architectures as old as sixth century. Migratory hoists are seen close to the villages of Jambha. Camps are made such as fortress placed in the mid of sand dunes. Camel and jeep safaris are provided to the tourists during their stay. You can also go for folk dance performances and folk music. 45. Unforgettable royal excursion of Chhatra Sagar camps! Nijam, Thakur Chhatra Singh, made a dam, which drained him with all his resources. It’s completed in 1890 with abundant green oasis providing striking scenic landscapes as well as farming land. The chhatra sagar camp was built by king’s grand-children in his honor. The camp is decorated by various Marwari women nowadays. 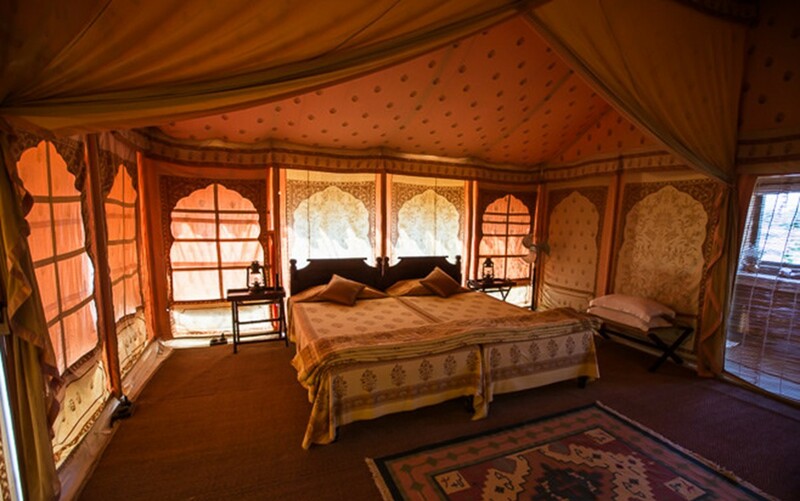 You will have royal rajasthani experience during your stay at this camp. You will get good food, great service and incredible accommodations are what enjoyable trips comprise of. 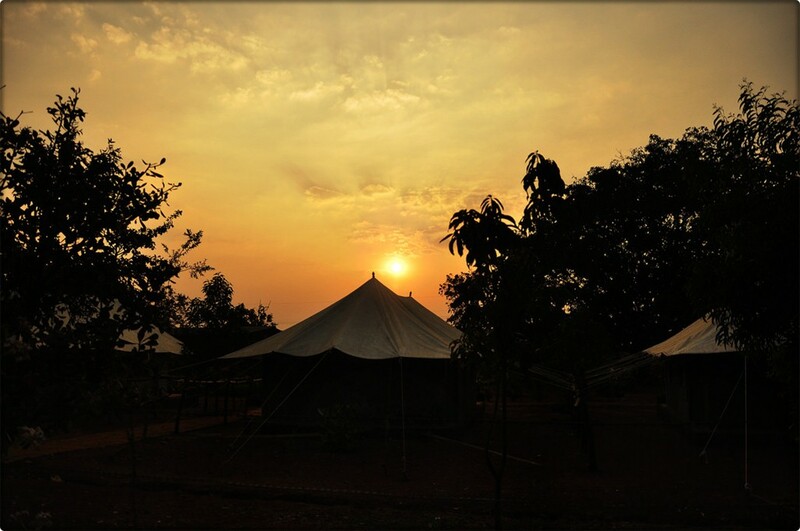 At Pench National Park you will have fun in Tribal Camps as this is one of its own kind of camping experiences. 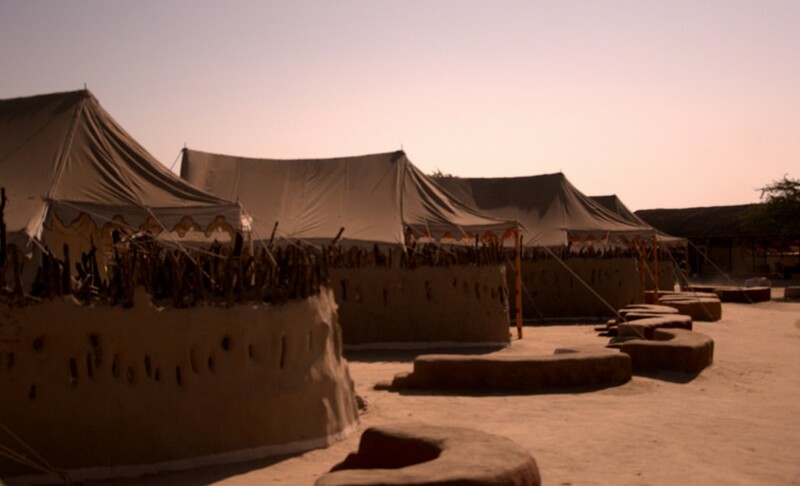 This camp is positioned just one and a half km in camp desert. 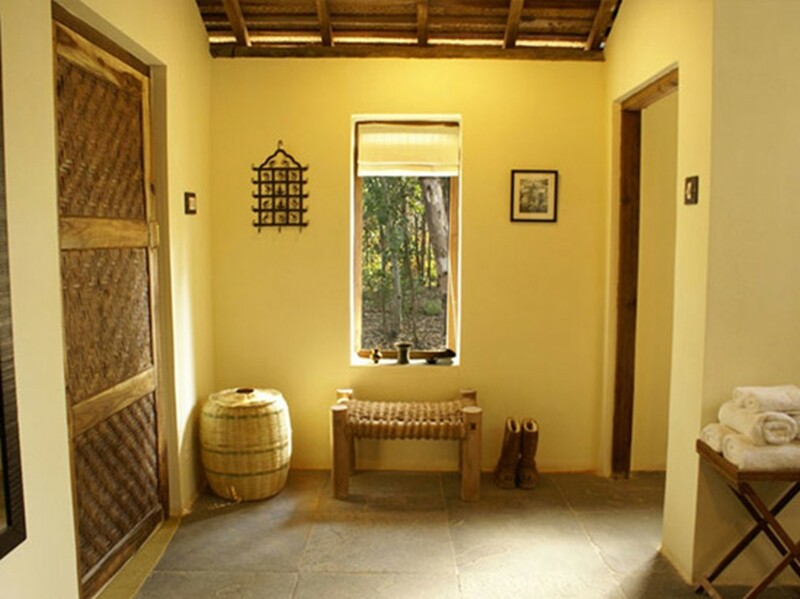 It’s surrounded an area of six acres as well as designed in very traditional and cultural Rajasthani style. Individual pick this area to reside due to its closeness to the fair held at Pushkar. It is the hugest cattle fair that takes place in India and attracts tourists around the world. You will see the colorful and culture lifestyle of people. 48. The land of sacrifice and valor-Manvar campaign! Manvar camps will take you in the era of Jehangir and he is the one who changed the desert in to royal gateways. You will find more than 30 decorated tents at this place and these tents are made up from teak furniture, jute rugs as well as offered delicious meals. Folk dances and local music are arranged for tourists. Camp fires and mashaals remind you some war days. 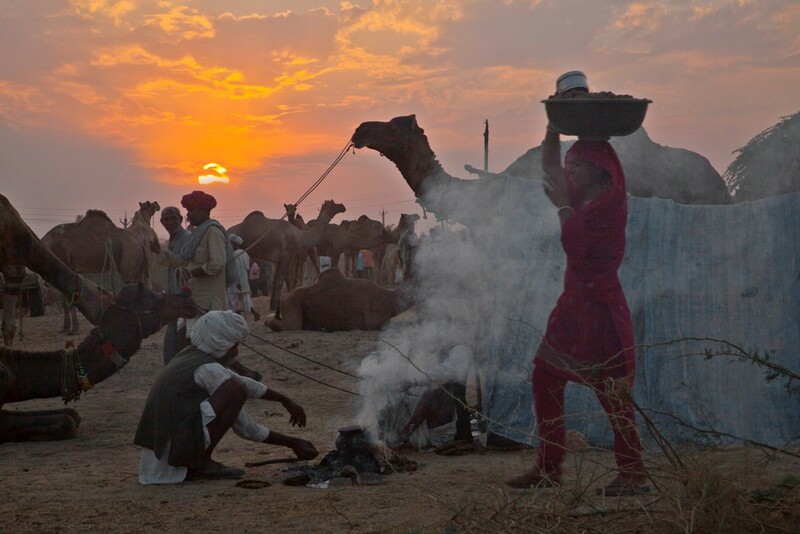 You will locate these camps few km off from Jaisalmer and Jodhpur highways. 49. A voyage back in time at Kasbah campaign! You will experience the royal life when you reside at Kasbah. It’s built keeping in the taste of the royal families in Blasinor and Bandandwara, Kasbah campaigns are simply a perfect place to join after Pushkar fair. What an amazing view outside your camp! Enjoy forest look outside the tent extinguishes a hundred souls. You will get very special service to each of its tourists. If luck is with you, you can find elephants come here often for bath. Enjoy the bhungas mud hut giving this camp complete village look with finger licking delicious food. This is situated in Kutch. This will give you life time experience. You will love the tradition and service. 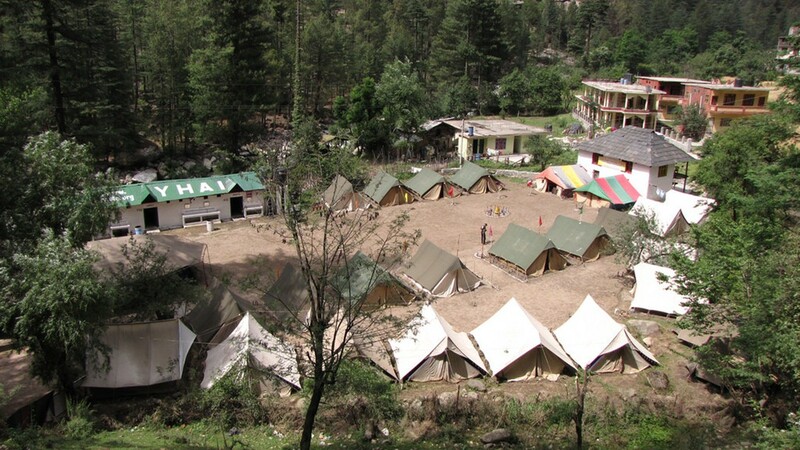 This beautiful camp is situated on the border of India Pakistan. Previous article31 Things To Do In Coorg!